Represent your favorite supplement brand in style with this 100% Cotton T-Shirt. 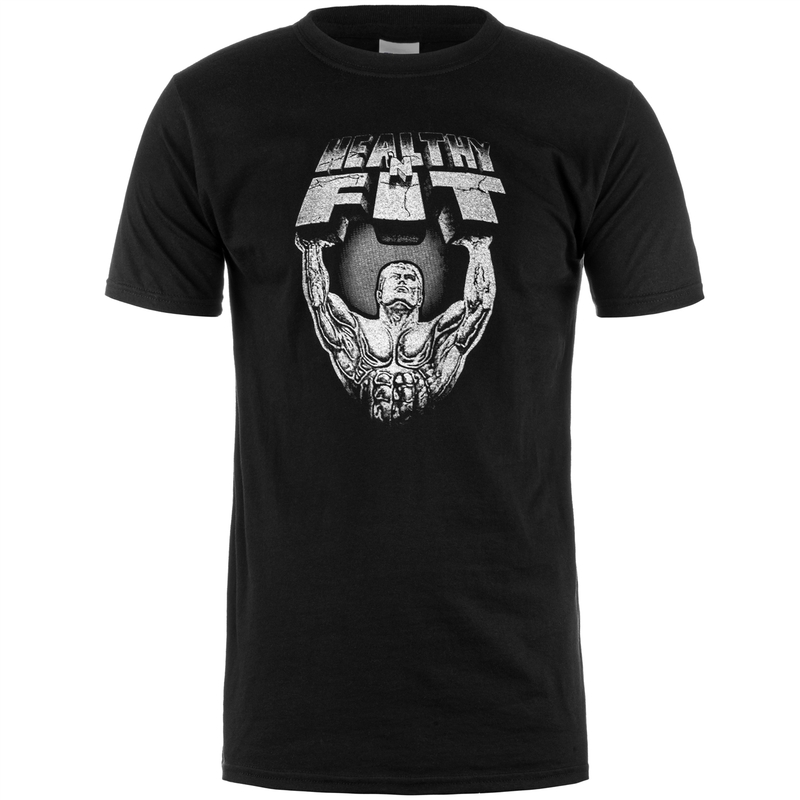 Features the iconic Healthy 'N Fit logo, printed with a modern twist of a metallic chrome image. Just like our supplements, HNF's T-Shirt is all natural made only of pure natural cotton, no synthetic fibers are used. Pre-shrunk to ensure durability while still being soft and lightweight. The shirts Athletic "Stretch" Fit has a more form-fitting feel than the average T-Shirt, so you can show off that hard-earned physique. Durable enough for the gym and stylish enough for everyday wear.